'We must rethink our approach to support the aging population before caring for older adults becomes a health care or financial crisis,' says the latest Yukon Health Status Report. Yukon is not doing enough to prepare for an older population, according to the territory's top doctor. Brendan Hanley, Yukon's chief medical officer of health, focused on aging in his latest Yukon Health Status Report. The last such report was done three years ago, and focused on substance use. The 128-page document released on Thursday examines statistics and issues around health and aging and Yukon, and makes a series of recommendations for the government. "We must rethink our approach to support the aging population before caring for older adults becomes a health care or financial crisis," the report states. 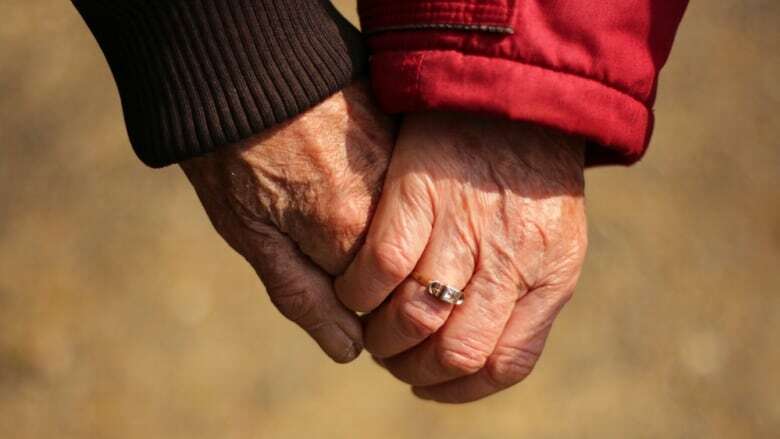 "It is imperative that we invest in infrastructure, products and services that achieve the right balance of autonomy, connectedness and support for older people." The number of Yukoners aged 65 or older has nearly doubled in the last decade, and seniors now make up about 12.9 per cent of the territory's population. By 2030, it's expected that more than 15 per cent of Yukoners will be at least 66. The report says the increase is due to Yukoners simply getting older — and not because seniors from elsewhere are "flocking to Yukon due to the availability of benefits and low-cost long-term care." Hanley says Yukon is lagging behind the provinces when it comes to "promoting age-friendly community initiatives." Hanley says most Canadians want to age in their own homes — and Yukon can do more to help make that possible. As an example, he points to the Toronto HomeShare Pilot Project, which began last year. The project involves pairing an older person with a spare room with a post-secondary student for a semester. The student gets affordable accommodation, in exchange for helping with household chores. "Whitehorse's perennially low vacancy rates for rentals make this a particularly promising housing solution. Seniors housing located close to Yukon College could be an ideal location to attempt a trial of such as program in Yukon," he writes. Hanley also suggests Yukon could offer training for informal caregivers, such as family members. "Yukon currently does not provide financial support to informal caregivers, and only provides limited training as needs arise," he writes. He also suggests more flexible home care options, as well as assisted living facilities (Yukon currently has none), and mental health services that specifically cater to seniors. "Considering our significant rates of substance use, and the fact that Yukon's senior population is growing, mental health needs will only increase," he writes.